Your time is limited, today more than ever. Like most everyone, civil engineers are overextended, and between their careers and personal lives they have way too many responsibilities. That said, sacrificing networking due to a lack of time could be a dangerous move that jeopardizes your career success. As a civil engineer, your network will drive your success. Your network can provide a mentor to help facilitate your career advancement. Your network can help generate new business for your firm – always an immediate career booster. Your network can also help you to find a new job when you need or want one. I could go on, but I think you get the picture. Instead of trading in your networking time for more work, be smarter about it. Network more effectively. Networking effectively involves a series of steps, and in this post I will cover the first step – Selecting the right networking events to attend. First, consider the attendees in relation to your career goals and challenges. To which industry is a certain function appealing? Are the people who show up going to represent a diverse range of professionals? Are they going to be solely civil engineers? Will they be my prospective employers or clients? A good question to ask yourself is, “What are my current career needs?” If you’d like to build relationships with real estate developers, then you need to go to an event where they will be. This is really important, because even if you go to a good event that has the wrong people, it’s probably a waste of time. By “wrong,” I mean an event with attendees who can’t help you achieve your goals. But you must also ensure that you can give value to the attendees in some way. If you go into an event thinking only, “How can they help me?” you will never build strong relationships. Think two-way street. I’m not necessarily saying to pass on an event if it costs a lot. I’ve learned that the cost doesn’t always equate to the quality associated with an event. The fact that it’s a high-priced event doesn’t mean it’s going to offer value, or include the right people, or cover the best topic for you. Don’t base your decision on cost alone. Don’t judge a book by its cover price. Picture a networking event where you have to drive 45 minutes from your office in the middle of the day. That eliminates your ability to be billable for an entire day. Now, if it’s worth it, that’s one thing, but if it’s not worth it, you are actually hurting yourself and your firm. Your time is valuable. Sure, if an event is close to your office, and maybe it’s a breakfast meeting that you can attend on the way in to work, that won’t displace as much billable time as a middle-of-the-day event. Bottom line, time and location matter. Last, consider the following statement: The value of your network is based on the quality of your relationships, not the quantity. Don’t go to an event just because you think it’s going to be a well-attended event. True, if there are more people there, that gives you more chances to meet the right people, but that doesn’t mean you can’t find a really solid 10- to 20-person event where you can build some really strong relationships. Think quality, not quantity. So, when it comes to deciding on whether to attend a certain networking event, the first step is to consider these five items. Overall, ask yourself how the event might help you move closer to your goals, while at the same time increasing your value to help others achieve theirs. 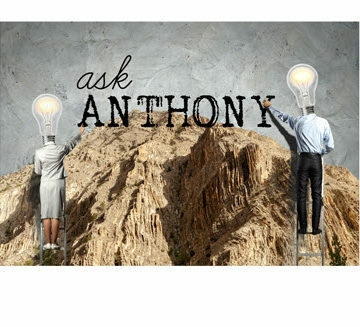 Ask Anthony: Should I Attend CE Conferences if My Employer Won’t Pay for Them? Ask Anthony: How Do I Make the Most of Attending a Civil Engineering Conference? 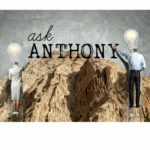 Anthony, How can I gain access to a listing of senior/leadership members of civil engineering firms to contact for personal usage to advance my career potential.